Private use of the play barn. Every child gets to feed the animals. Children food and party bags can be included. The children have 1 hour in the play frame and then half an hour to eat party food and blow out the candles (you provide the cake). They then go to see the animals. Each child gets a bag of chopped carrots to feed the animals. We then go back into the play barn to collect party bags and go home. Cold food is a choice of sandwich (ham, cheese, tuna mayo or jam), a packet of crisps, a piece of fruit, gingerbread man all in an animal box with a small sticker book. Hot food is turkey dinosaur & chips, pizza & chips, fish finger & chips or pasta with tomato sauce, gingerbread man all in an animal box as above. 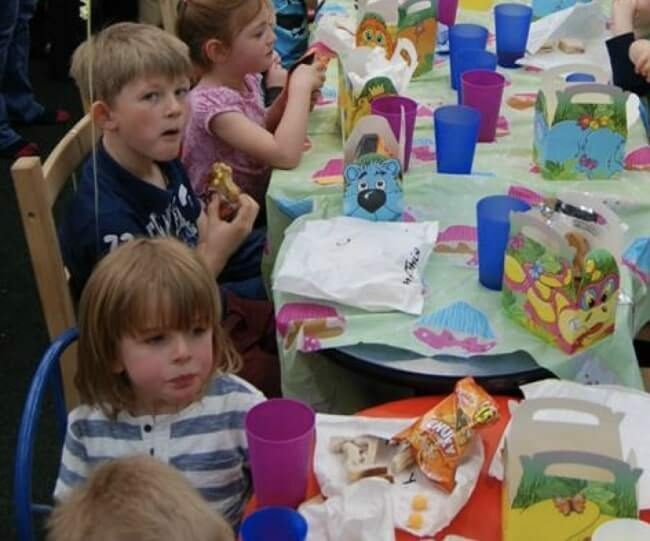 The party food is only a small meal and is not expected to replace a child’s main meal. This is to ensure we have sufficient time after eating to go to see the animals. The party is always 4.15 p.m. to 6.00 p.m. after the play barn has closed to the general public. The play barn is then exclusive for your party. Parties are only available Saturday and Sunday.  Included free of charge: Own dedicated party host, reserved tables for party, 1 hour soft play in Play Barn, cold food (normally £8.59 per child) and a guided tour of farm.